A café at its best is so much more than the sum of its parts: it’s a place where people can easily mingle, share ideas, and dertleşmek, or commiserate over their troubles, all while imbibing caffeine. At the same time, it’s a place where visitors might feel an invisible thread of common beliefs connecting them, an unspoken camaraderie, even if they don’t socialize with anyone. 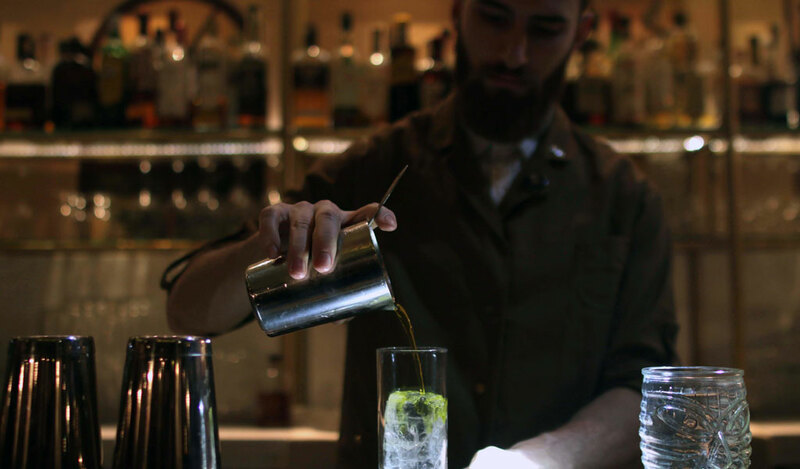 This community spirit runs strong in Dose & Istos Café, a new Rum (pronounced “room,” the name given to Turks of Greek descent) café in the heart of Beyoğlu. When we first went one rainy Sunday evening on a tip from a friend, we didn’t remember the exact address, just general directions that it was off Istiklal Street, near Galatasaray Lycée. We turned a corner, then another, and yet another, walking downhill until the sound of Greek being spoken by a couple sitting outside told us we’d arrived. Ahead of us, hanging over the entrance, we saw a wooden sign: Istos. Inside the railway-car space, there is a spare coziness. Duman, the café’s one-eyed grey cat, is usually curled up in a nook or availing herself of an open lap. 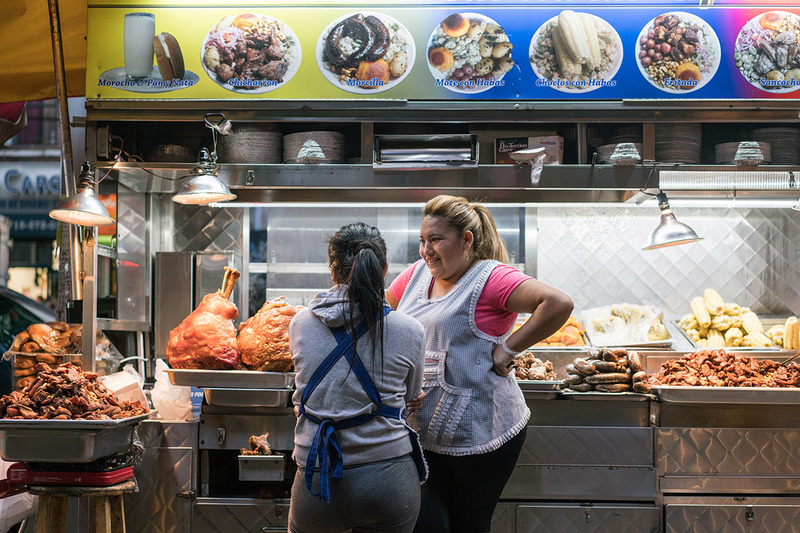 Both Turkish and Greek can be heard percolating at all hours here, adding to the ambiance – we’ve found that nearly everyone who works behind the counter is fluent in both languages. There are pale blue walls, a tile floor, long wooden communal table, arty sconces and a wall of books. 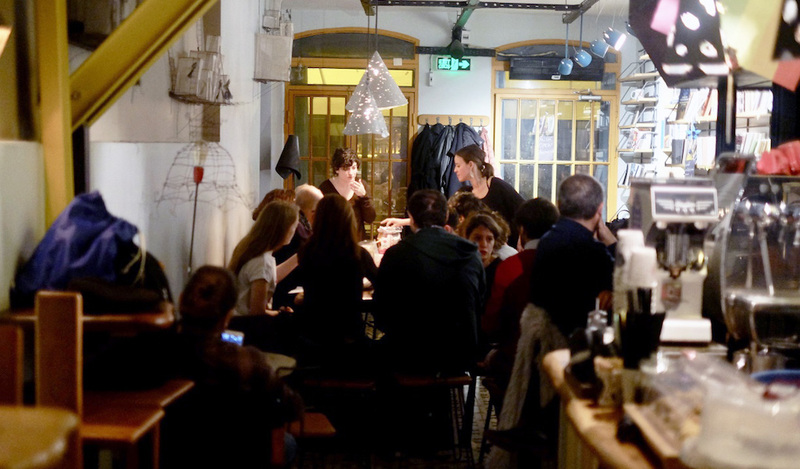 “The best décor of all,” co-owner Haris Rigas told us, since this café is also a bookstore. The Istos in the name comes from a publishing company that predates the café by several years. It opened in 2012 in Karaköy and, when it did so, was the first company in Turkey to publish books in Greek in 60 years. The publishing house was started by a band of seven friends, all of mixed local brews so to speak – one Turk, four Rum and two Greeks from Greece, including Rigas – who share an interest in history, culture and literature. Their books focus on the Rum culture in Istanbul and Turkey, the shared heritage among Greeks and Turks, as well as works of Greek literature that either haven’t been translated into Turkish yet or have been translated via another language, like French or English. One volume we picked up gathers together in a hefty brick-size all the words common to Greek and Turkish. While Istos sources books to stores throughout the city, at the café they are sold at a discount – “from the source,” said Rigas. In Greek, istos means a web or network and is symbolic of the kinds of connections the founders hope to foster through their publishing work and cultural activities, while dose is the name of a café that formerly stood in the same spot. So Dose & Istos comprises both a rebirth of a place that had shuttered and a happy new union of books and coffee. We sat down with Rigas one evening to discuss the vision and horizontal management of the place. 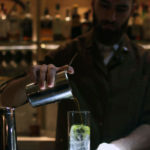 He emphasized that he is not the “star” of operations, that they take a cooperative approach to daily running of both café and publishing company. “Friend is the key word in how we operate,” he said, mentioning as well their effort to keep the wages and hours fair for the baristas. Rigas’ own story with Istanbul began eleven years ago when he met some Turks in London who brought him here. Once his feet touched down in “The City,” as it is known among Greeks, he learned the language easily, made friends and fell in love with Istanbul, a passion that is palpable in conversation with him – he even theorized he may have lived a previous life here. Opening Dose & Istos was kind of returning the favor, added Rigas, who also teaches ancient Greek and Latin at a university here and plays bouzouki in a band that specializes in Rembetika, music associated with the refugees from the former Ottoman Empire after the exchange of Greek and Turkish populations in 1923. The seven founder-friends had wanted to open a café for ages, so when an opportunity presented itself last summer, they jumped on it. They deliberately chose Beyoğlu, this neighborhood that historically was the city’s cosmopolitan heart. Here sizable minority communities of Greek, Armenian, and Jewish resided, most European consulates had their addresses and a veritable Babel of languages could be heard in the Ottoman period. Beyoğlu offered the latest fashions and wares from Europe: here the wealthy and elite could stroll the Grand Rue de Péra (Istiklal Street’s previous incarnation), shop in such department stores as Bon Marché and Pazar Alman, while away hours in Parisian style cafes, then go to ballrooms where gowns could be rented for the occasion. Beyoğlu was both a center of innovation, the site of the first gas lighting, movie screenings and underground funicular, the now historic Tünel that connects coastal Karaköy to Istiklal Street, and a nightlife destination, whose dance halls, coffee shops and beer houses would fill to overflowing with revelers, especially during Carnival, sometimes evoking the ire of more pious members of Ottoman society. 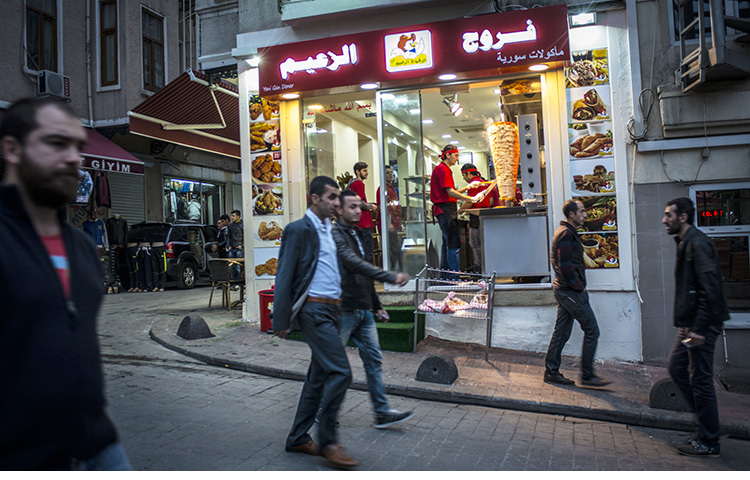 In the decades that followed the First World War and the founding of the Turkish Republic, this European enclave was emptied and the minority communities throughout the city slowly dissipated. While Istanbul was exempted from the exchange of Greek and Turkish populations in 1923, such events as the passing of the 1942 Wealth Tax that targeted non-Muslim inhabitants and the anti-Greek riots that broke out in 1955 meant that most minority groups were either forced out or chose to leave. A century later, a stain still seemed to lie on the quarter. Even as recently as a decade ago, Beyoğlu conjured associations of run-down buildings and shadiness. Rather than nostalgia, the café is built on the hope of making something new and possibly better. For Rigas and his partners, this was part of the point. 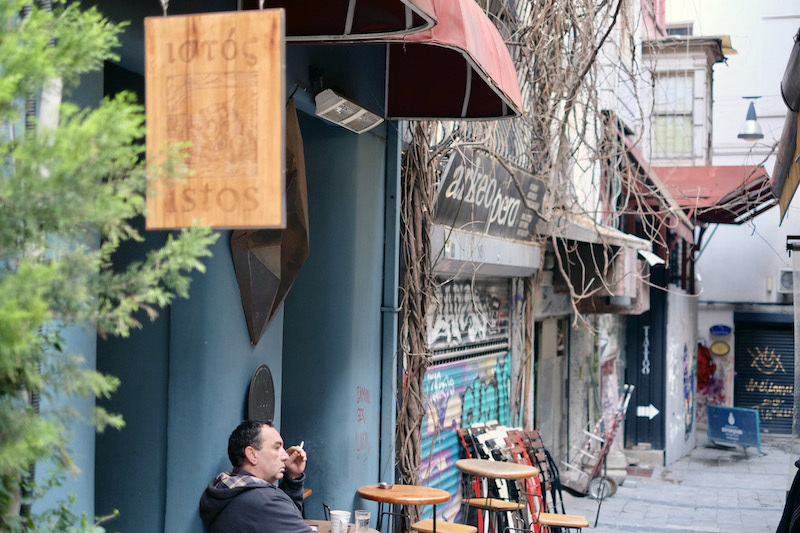 It was important for them to go against this trend, to see the opening of their café and bookstore as a kind of personal resistance, allowing them to reclaim Beyoğlu, even if one small part, as a cosmopolitan space. 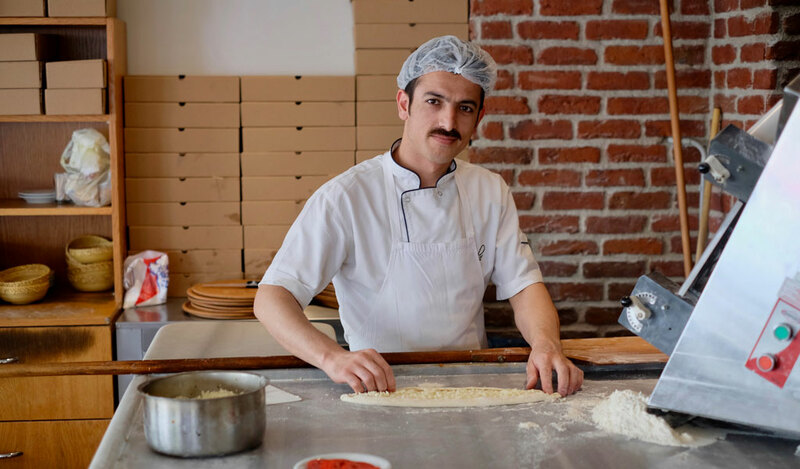 For a part of Istanbul with so much rich history that seems to be in danger of losing its heart, Dose & Istos’s creators have added a lively pulse. In keeping with the “Istos” idea, Dose hosts talks in Turkish on Sunday evenings. 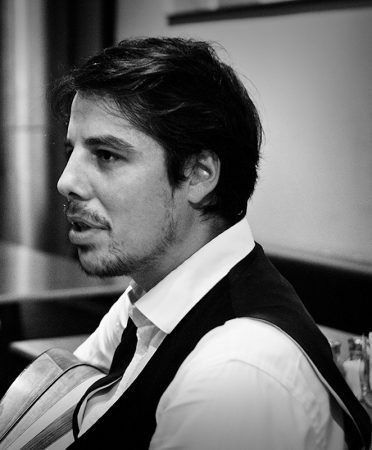 In recent weeks, some such themes for discussion have included the music of the Ottoman diaspora, cinema in the Ottoman Empire and the Jewish community in Istanbul. 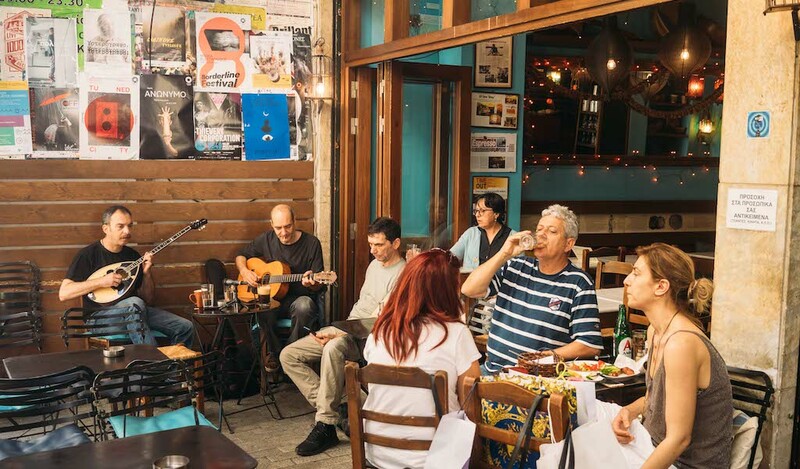 On Tuesdays through Fridays, the café officially closes its doors at 8 p.m. and hosts an informal conversation club where people can practice their Greek. Finally on Monday evenings, the café hosts a choir. Led by the charming Fotini, who also accompanies the singers on a kanun, they practice Rembetika and traditional Greek songs. Through events like these, the cooperative hopes to do its part in coaxing back a vibrancy to local community life. Even as they keep a fire burning for the small Rum community – only around 1,500 souls today – they also open their doors to what they see as the increasing number of people here who consider Greek or other minority cultures as part of a common heritage, creating a springboard for a new multiculturalism in the city. 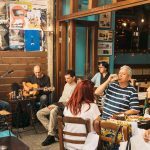 The books, the music, the Greek language and sohbetleri (or chats in Turkish) give the café cultural substance and intellectual gravitas, but there is also the matter of basic sustenance. 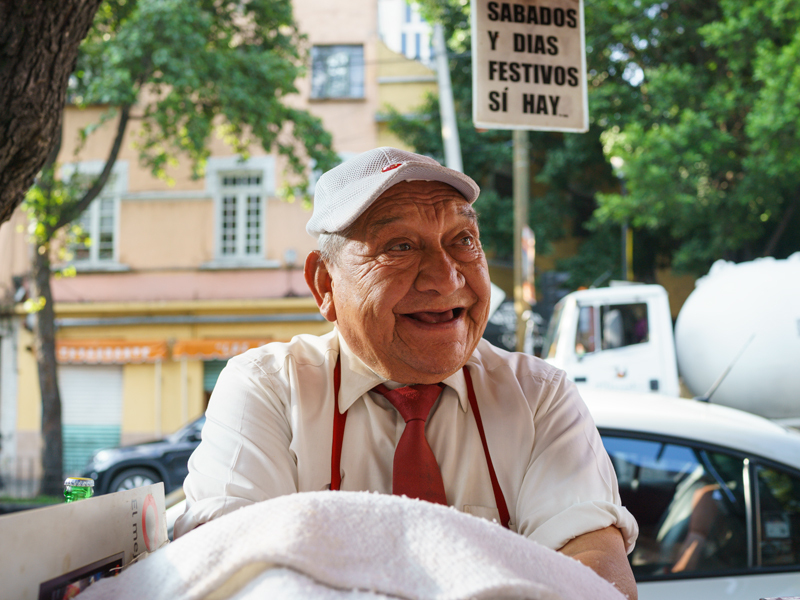 They like to keep things simple coffee-wise, sourcing their beans from Zapatista, which provides shade-grown coffee from the Chiapas region in Mexico. Rather than offer dozens of different brewing methods, they choose to pay a little more for this free-trade coffee whose aroma and flavor more than make up for the relatively small menu. 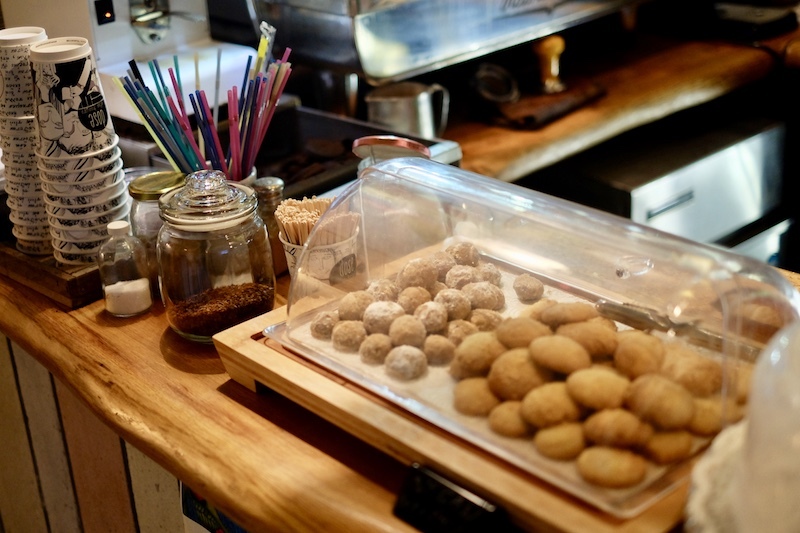 For snacks, the house favorite is the kourabiedes, like those found in Greece. This cookie of almonds and powdered sugar looks solid when bitten into whereby it seems to melt in the mouth – and splendidly accompanies a cup of the black Zapatista. Other nibbles include a fig cake with a creamy mastic icing, also delicious. 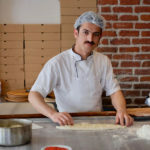 All of the baked items are made at home and delivered twice a week by a Christian Orthodox woman from Antakya named Rakel. Like a partial fulfillment of the age-old wedding tradition of “something old, something new, something borrowed, something blue,” Dose & Istos is both something old and something new. If nostalgia is missing a period in the past, then this isn’t quite what the café is about. While it clearly draws on Beyoğlu’s history, it’s done with the knowledge that the past is rarely the way we remember or imagine it. Rather than nostalgia, Dose & Istos is built on the hope of making something new and possibly better.